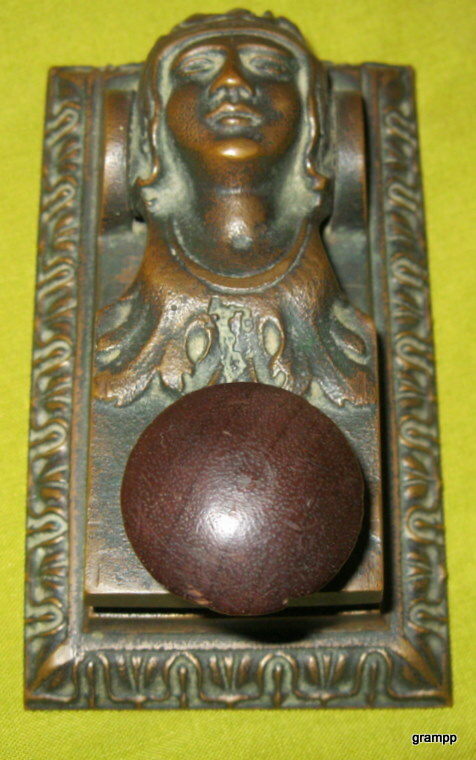 The maiden press may represent an American Indian, or may be a European design. The spring is similar to those used on English presses. The wooden handle is likely a replacement.